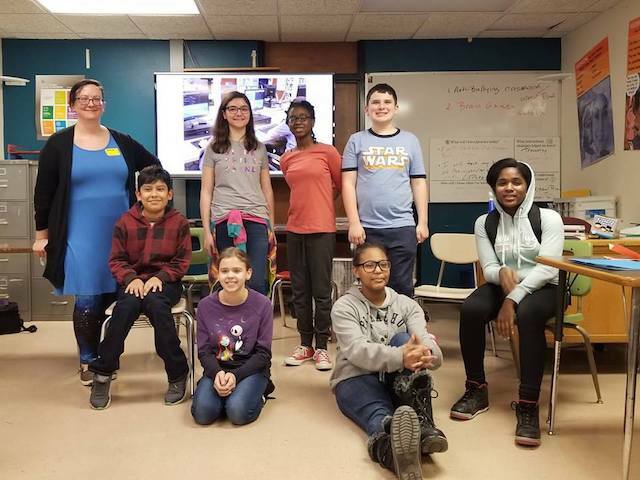 Maydm, a Madison-based technology non-profit, received a $46,000 grant from the Madison Community Foundation to expand their programing for girls and students of color. Participants of Maydm's Sennett Middle School Ambitious Career and Coding Initiative (Photo courtesy of Maydm). Maydm provides computer science courses, mentorships and internships for youth across the greater Madison area. Since their launch in 2016, Maydm has instructed over 700 youth, and over half have been girls or students of color. Tech is one of the fastest growing career fields, but only one in 10 K-12 schools nationwide teach computer science classes. In Wisconsin, only 32 percent of high schools offer AP computer science courses, and of the 1.498 students who took the AP Computer Science exam in 2018, only 20 percent were female and 7 percent were students of color, according to a Maydm press release. Women who try computer science in high school are 10 times more likely to major in it, and Black and Latinx students are seven times more likely. Maydm saw a 41 percent participation growth in their second year. This grant will continue to expand this growth by funding a full-time position to address programming, funding and outreach. The grant is a part of the Madison Community Foundation’s Community Impact Grants, which provides an annual support to nonprofits across.